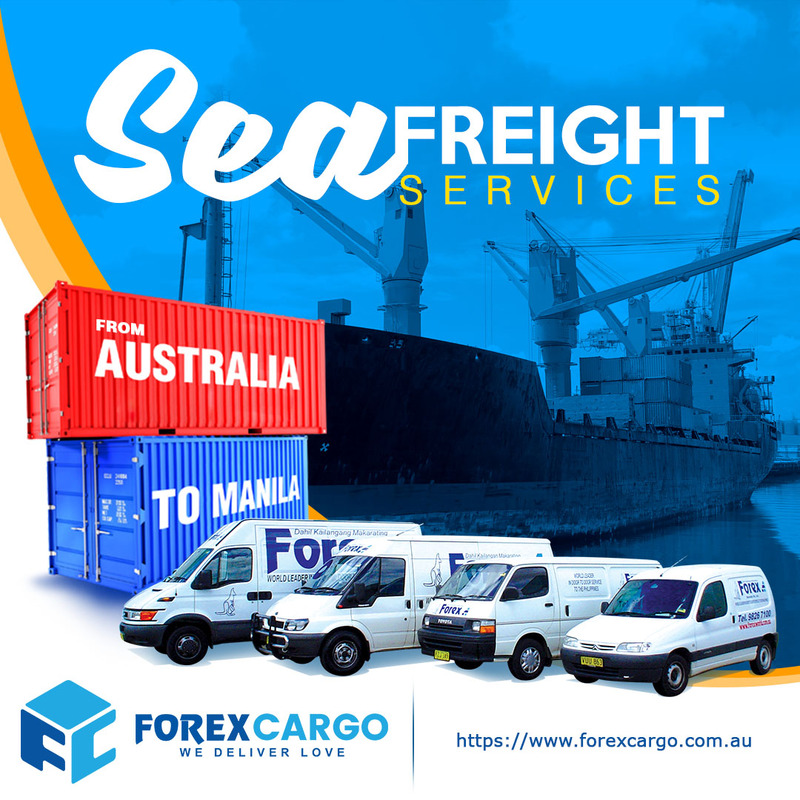 Forex Cargo Australia | Forex Cargo offers secure and reliable shipping services from Australia to the Philippines. Your satisfaction is our number one priority. 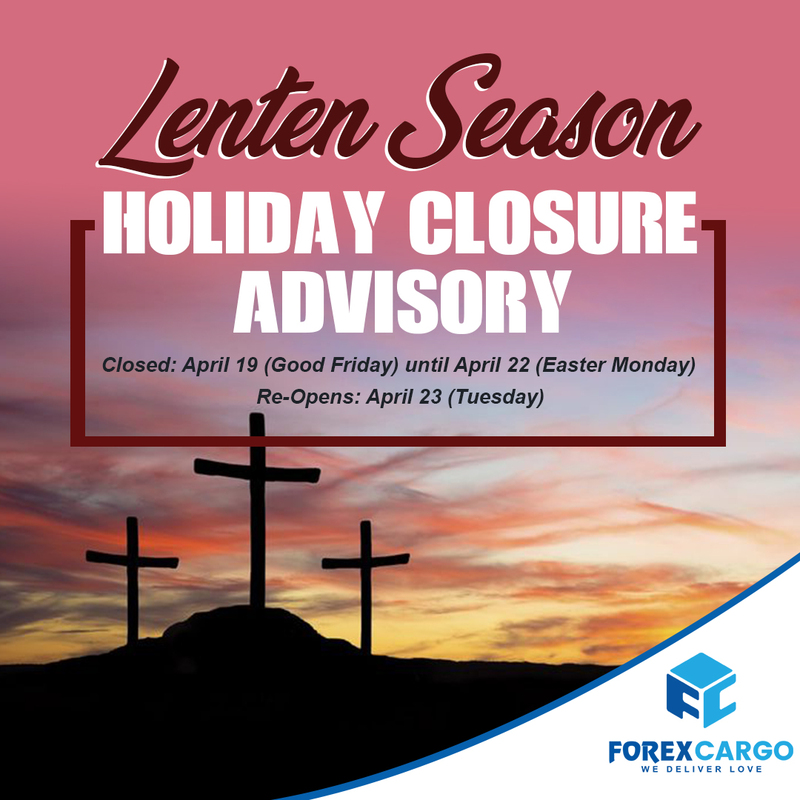 Please be advised that Forex Cargo will be closed from April 19 (Good Friday) to April 22 (Easter Monday). 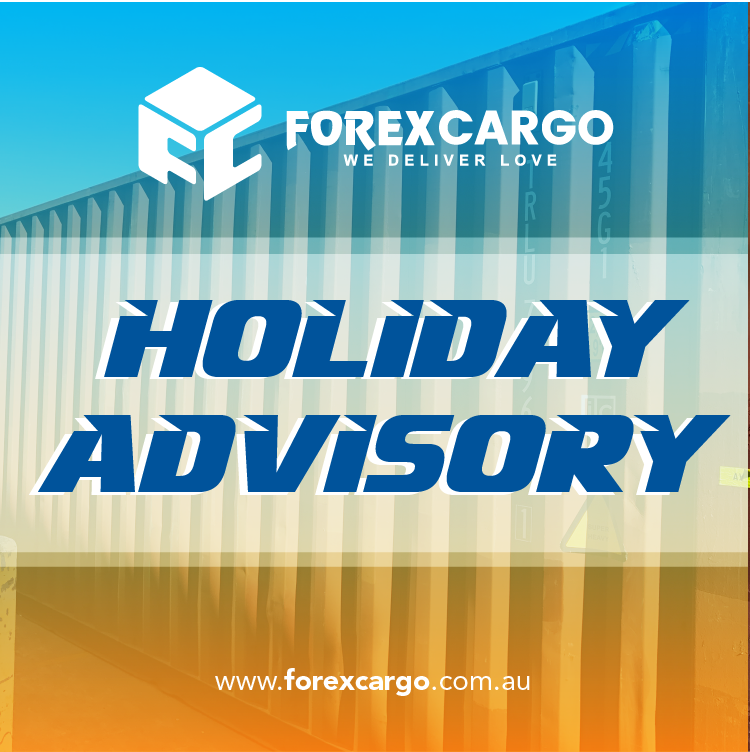 Please be advised that the loading for Friday 01 March is now CLOSED – container FULL. 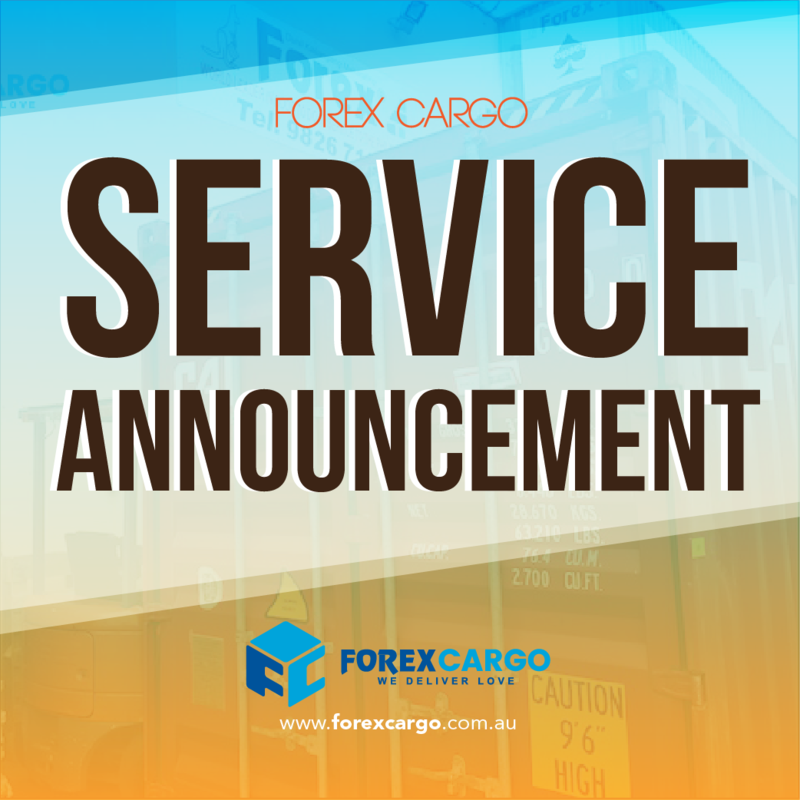 Please be advised that the loading scheduled for Friday 22nd February is now CLOSED – container FULL. 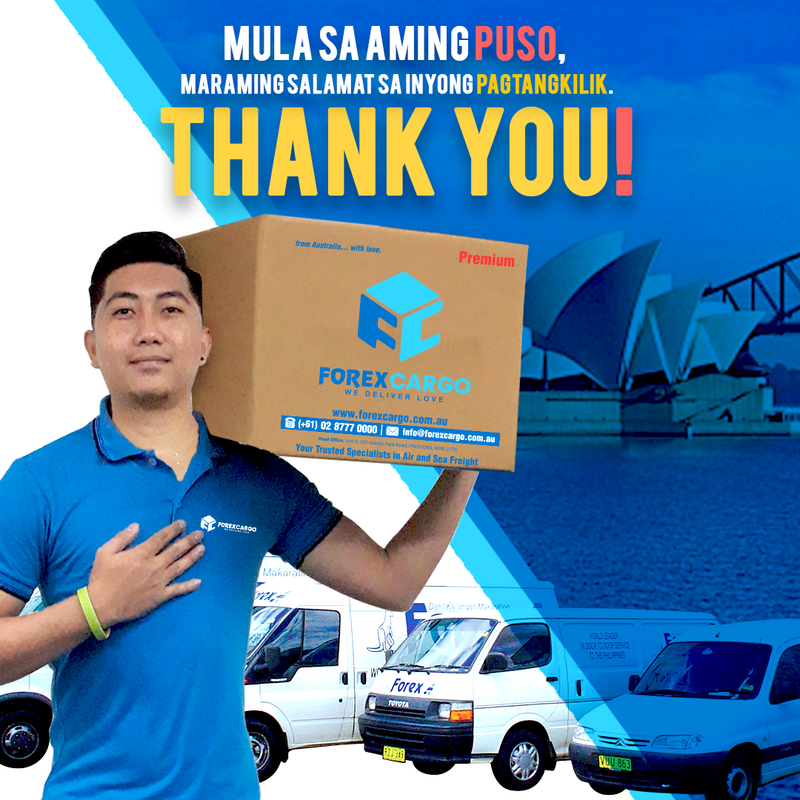 In observance of Australia Day, please be informed that Forex Cargo Australia will be closed on January 28, 2019 Monday. 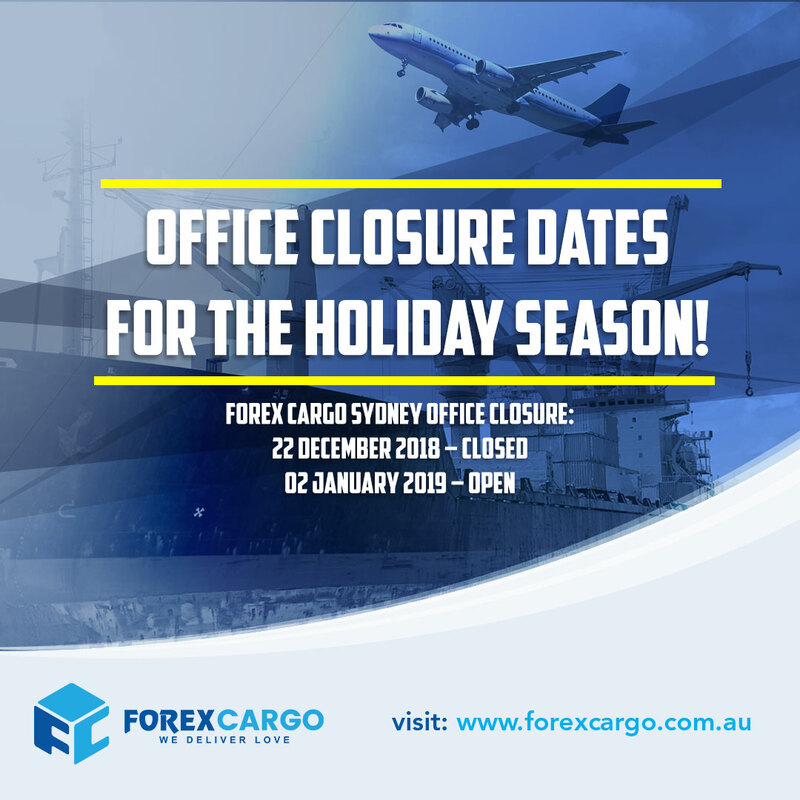 In line with the holiday season, we would like to inform all our valued customers that Our offices will be closed starting on Saturday December 22, 2018 and we will reopen on Wednesday, January 2, 2019. Today’s Container Loading Advisory, November 6. All boxes collected from tomorrow Wednesday 07 November will now be included in the next loading scheduled for Friday 16 November. 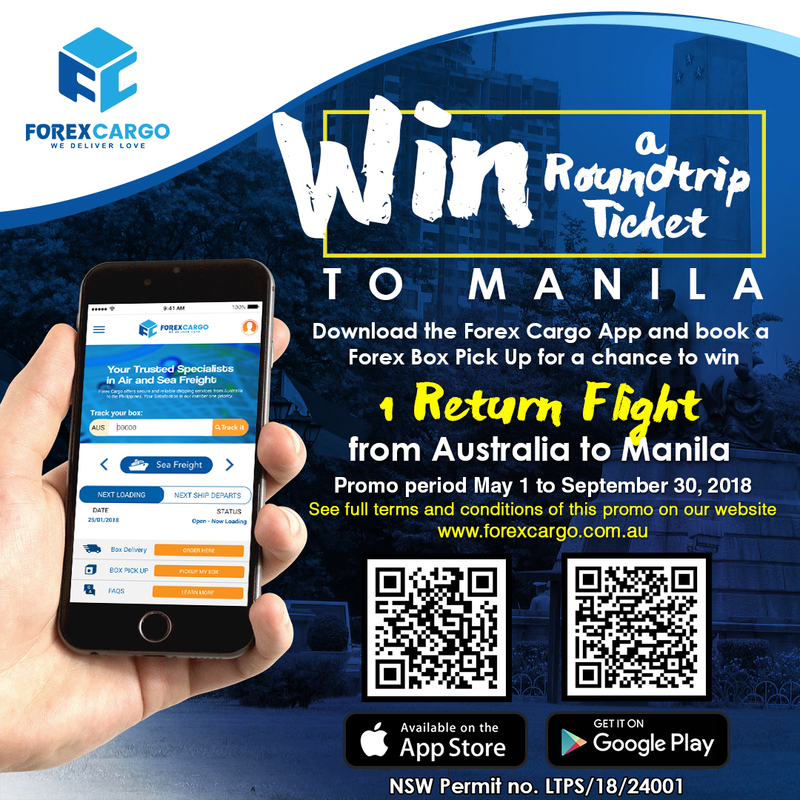 We want to send a big thank you to everyone who participated in our contest and downloaded the Forex Cargo Application on their Android and Apple Devices. 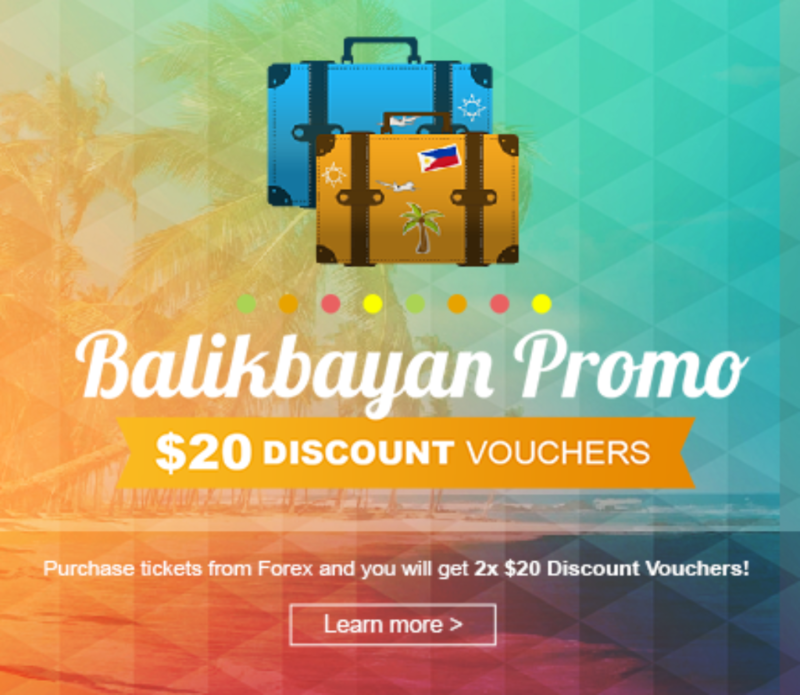 Purchase your tickets through Forex Travel Australia and as a token of our appreciation we’ll embrace two x $20 discount vouchers for you to use for Forex Cargo Balikbayan boxes.